Keep your wall planters looking great every year with the Panacea Half Round Coco Fiber Liner. This formed liner fits inside any 16" long wall basket. Simply remove all the potting soil and plants from your planter, remove the old liner, replace it with the new liner, and add the soil and plants back to the basket. Your wall basket will look better than ever. 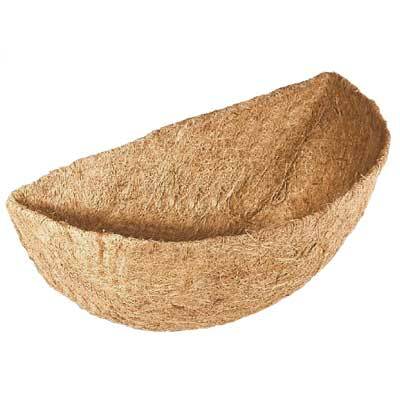 Extend the life of your wall baskets with this Half Round Coco Fiber Liner.